The name "Macbeth" has been cursed for hundreds of years, synonymous with tyranny and over-vaulting ambition. But what if the true Macbeth was something other than the villain Shakespeare portrayed? 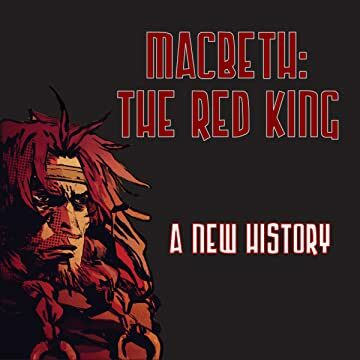 Macbeth: the Red King tells an entirely new story of the real-life Scottish monarch, revealing a benevolent ruler who seized on his legitimate claim to the throne. 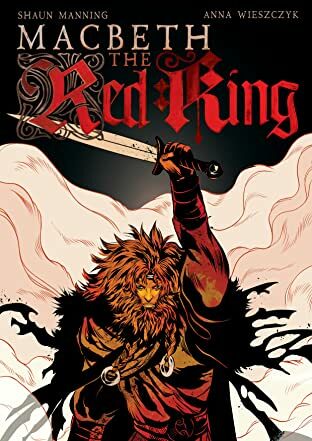 Drawing from historical sources, this engaging graphic novel by Shaun Manning and Anna Wieszczyk is visually stunning companion to Shakespeare's legendary drama. See Macbeth vanquish the incompetent Duncan, nurture a difficult relationship with his stepson Lulach, and make pilgrimage to Rome while his noble wife minds the restless kingdom - and witness his last stand against the insurgent prince Malcolm.